BlogueandoParaTodos.com: Eat more, loose more. A diet that works. Believe it or not, you can eat more and loose weight. You may say that it can’t be possible, but, it is. There’s a way to make it happen, and it’s great for people who love to eat a lot. Ok, I know, there will be exceptions, but, in general this should work for most people. If think this was a secret for you, not any more, I’ll tell you how. One thing you need to be aware of, is which food slowed your metabolism. That’s the reason most people fail in their diet. You need to have a list of the foods that won’t help you lose weight. 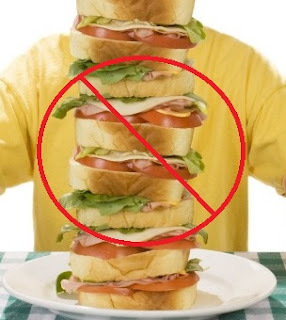 For example, food that contain corn syrup, or those that are high in carbohydrates, some contain more fiber than you need, potatoes and other tuberous food, bread, crackers, rice, and eliminate soft drinks (soda). The list is huge, but just be careful with the food that are high in carbohydrate, additives, preservatives, sugars and caffeine. Did I say not to eat those food? I’m just telling you to watch how much you eat of them. Things get worst when you mix fruits with your meal. That’s a mistake; eat them as a snack between meals, and be careful not to eat too much sugar. You can eat more if you eat almonds, peanuts, and other seeds, as a snack, instead of fruit. So, what’s the food you can eat more? You can eat a lot of the food that puts your metabolism to work. Proteins are hard to digest, and that’s what you are looking for, foods that your body has to work a lot to get rid of. So, you can eat more, but you won’t gain weight doing it. Examples of proteins, fish, poultry, meat, and vegetables like, cauliflower, broccoli, green beans, salad and spinach. Remember that ranch dressing taste great and it won’t make you fat. Is there a trick for that? Of course. The trick is to divide the meal in three portions, one of fatty food, that can make you gain weight and two portions of the food that you can eat more, like the proteins. Another trick do not go hungry. You need to make snacks between meals, and if you want to eat a lot, remember what I said about seeds. 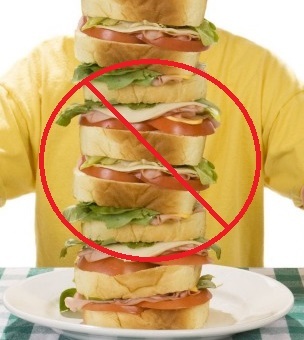 The cheese, ham, wholemeal crackers or dark bread to make a sandwich, if possible with tomato and lettuce, (don’t let the margarine fool you, mayonnaise is a better choice) are good too. You’ll eat at least 6 times a day, isn’t that a lot? And remember, you are eating less carbohydrate, so be careful not to dehydrate; you need to drink enough water. At the end, if you follow this advice, I’m sure you’ll eat more and lose weight. I didn’t say that it will work for everyone, because some people have special needs and some have health conditions that need specific diets. What I can tell you is that, in my experience, I’m doing it, and it’s working for me. I already lost 80 pounds in 8 month, and I keep losing weight. Just remember, 1 portion of the food that can make you fat with 2 portions of the food that put your metabolism to work harder. Don’t mix fruit with your meal, try not to drink soda, drink water instead, or powdered beverage mix, artificially sweetened (I still prefer water), and please, do not let your body to get hungry. Try it, I’m sure you won’t regret it.